Hope everyone is having a wonderful week so far! I am home for a few days, visiting my dad for Father’s Day this weekend. Looking forward to a little family and best friend time for sure before the next few weeks of “reality” considering I’m graduating in a month, MURP! Currently watching Orange is the New Black ; while working on a portfolio for class. Only on episode 6 of the first season…so NO SPOILERS HERE! But pretty sure I would be “Yoga Jones” if you asked me what character I would be, ha. 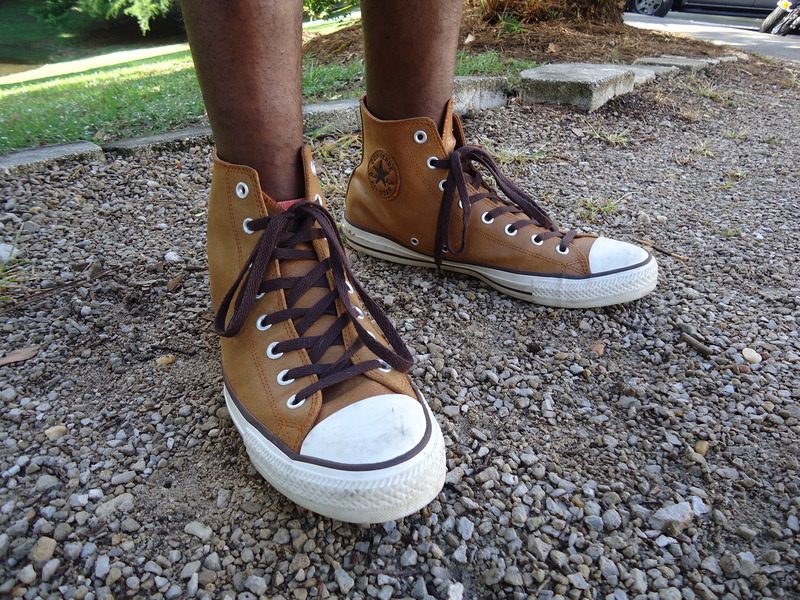 Anyway, figured I would post my latest on CollegeFashionista.com! Summertime can get pretty hot, especially when you’re sitting in class staring out the window wishing you could be by the pool or binge watching Netflix. Staying cool and comfortable is a must during all the long and drawn out lectures. However, you can be comfortable while still looking fresh for your next event. 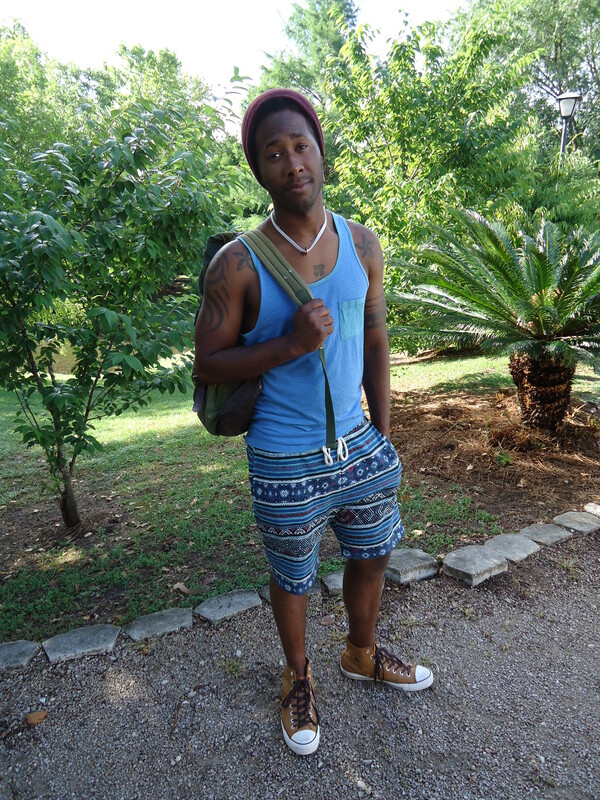 This Fashionisto knows how to stay relaxed while looking edgy with his tribal drawstring shorts and striped tank top. 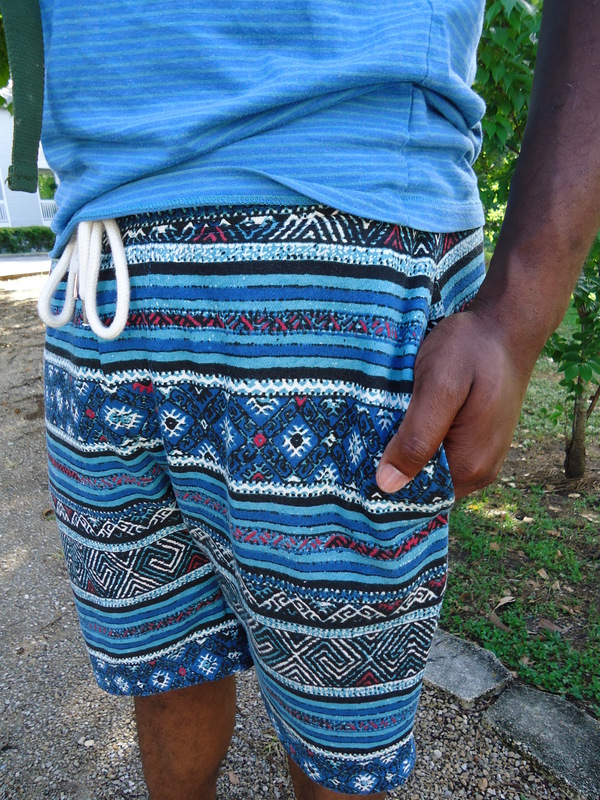 Tribal patterns are an excellent accent to the warmer months and stand out from the crowd. With a bold pattern such as the one on these shorts, a simple tank top and solid colored Converse will do to tie this look together. Using the thin striped pattern of the tank doesn’t distract you from the main attraction of the shorts, but instead adds the perfect touch to the whole look. Achieving this outfit is a breeze as well as affordable to obtain, which is why this Fashionisto’s style advice is the best you’ll receive all week.